This contest was played on a more typical winter's day. A soggy pitch, wet slippery ball and of course mud, mud and more mud was going to make for a challenging afternoon. MHS received the kick off and immediately employed an unexpected tactic. 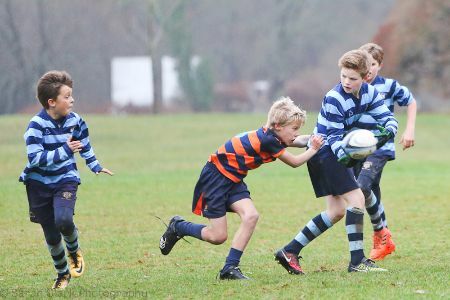 They kicked over the advancing Saint Ronan's team and forced an error, leading to the first score of the match, 90 seconds in! The rest of the half was a real 'arm wrestle', with neither side able to dominate. While Saint Ronan's had more of the possession, they couldn't turn it into points. 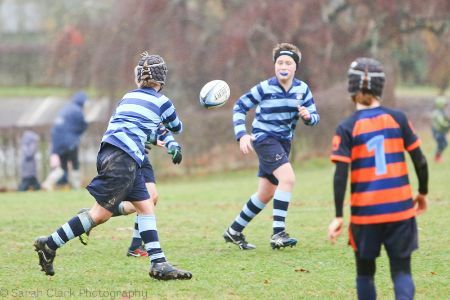 More shrewd kicking and chasing from MHS kept them on the front foot in difficult conditions. With 5 minutes to half time, Ed M dropped into a 'sweeping full-back' role and effectively nullified the MHS kicking option. It was at this point that the momentum began to shift. Ned T scored on the whistle to level the game. While the scoreline would suggest that this was a game of two halves, the truth is Saint Ronan's did not make any fundamental changes. They possibly carried the ball with a little more conviction, provided closer support, rucked with slightly more intensity -but these were only marginal gains. The space that began to open up was in fact a result of the hard work MHS had put in during the first half. Saint Ronan's capitalized and moved the ball in and out of channels, constantly changing the point of attack. This was evidenced by six different players all scoring tries. 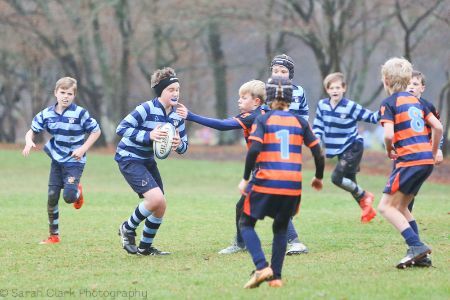 Ned, Matthew G-R and Ludo R carried effectively and Ed M, Wilby W, Alex P, Rory B, Bruno H and Orlando S combined superbly, showing excellent early season form. 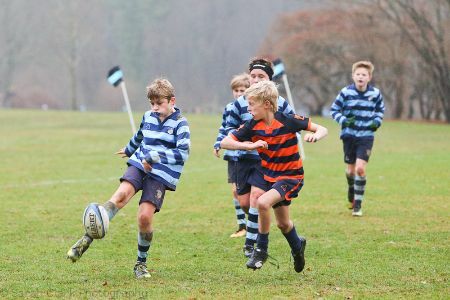 The final score reflected a dominant second half, with Saint Ronan's the victors, 8 tries to 2. 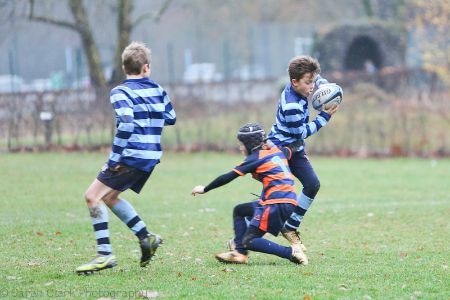 Man of the Match: Orlando S, for a magnificent run from half way, sidestepping his way through the defense until, when caught just meters from the line, he still had the composure and presence of mind to offload a neat pass to Bruno, for the simplest of finishes!